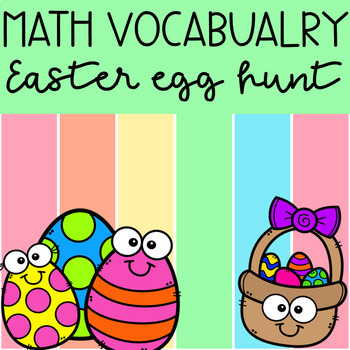 Help your students review their math vocabulary terms for the year with this engaging egg hunt. 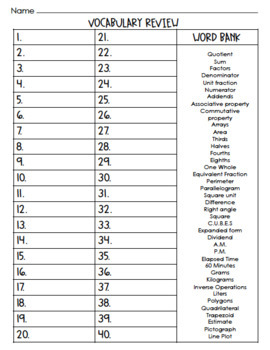 Three different answer sheets are included along with an answer key. 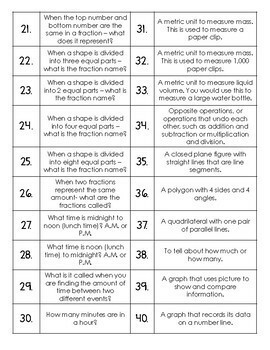 Vocabulary terms include all the standards like the four operations, measurement, fractions, geometry and different units for measurement. There are 40 different terms used.